Siamo lieti di informare che è disponibile on line il volume Pragmatist Kant. 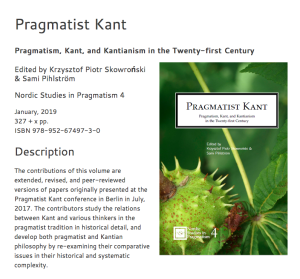 Pragmatism, Kant, and Kantianism in the Twenty-first Century, curato da Chris Skowronski and Sami Pihlström. 8 Does Pragmatism Need a Concept of Autonomy? 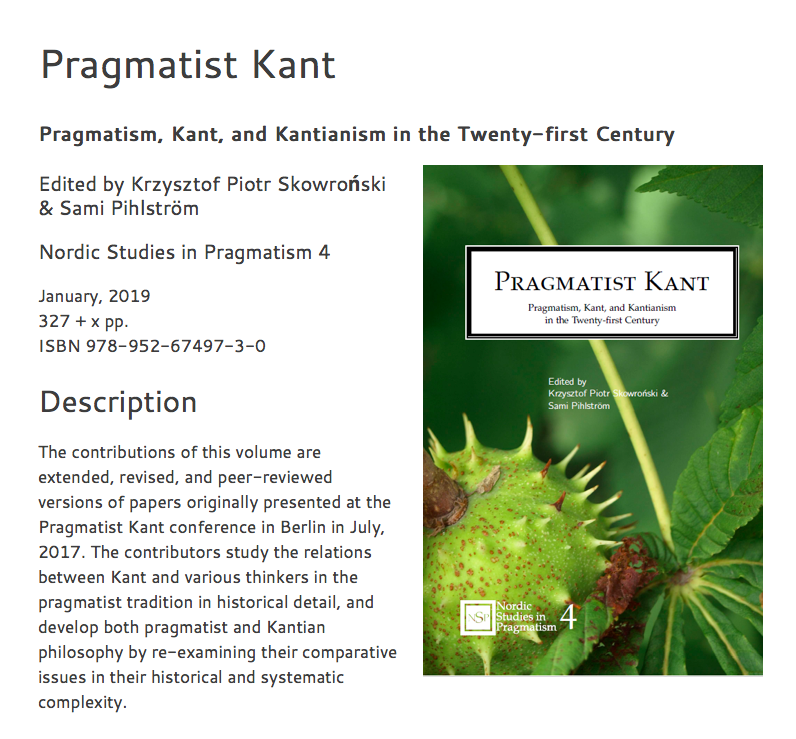 14 Does the Pragmatist Reflection on the Ethical and Aesthetic Values Need the Kantian Axiology for its (Pragmatist) Future Developments?